The Utopian Colony crowdfunding campaign has been up for just about 4 days and only 860 Dollars has been raised so far. This worries me a little bit, since it's a campaign with a fixed goal. That means, if the Utopian Colony crowdfunding does not reach its entire goal of $35.000, it will not receive any of the money raised! So, I've decided to give out an additional incentive to pledge some money to Utopian Colony on IndieGogo! The next 5 people who pledge a minimum of $10 and post proof in the comment section below, will be added to my SteemAuto vote list. 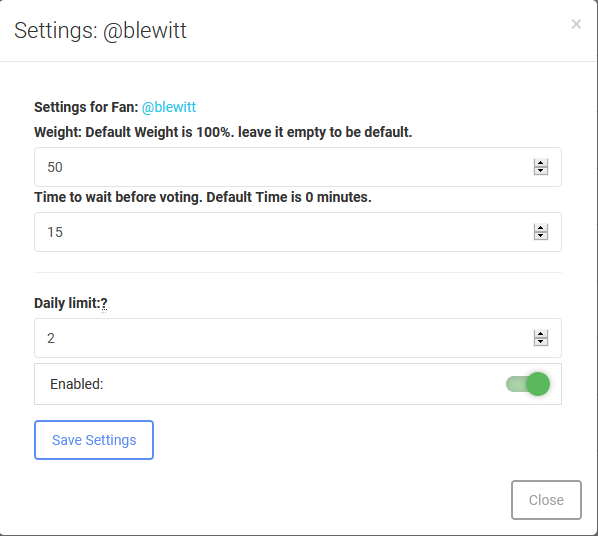 Your posts will get a 50% vote from me for 1 month, with a maximum of 2 posts per day. I currently have 5 spots left on my SteemAuto, first come first serve! Only new donations will be eligible, so please don't participate with pledges you've made before this post was published. I understand that it might be a bit of a bummer for the people who've already pledged, but my goal is to get more people donating. 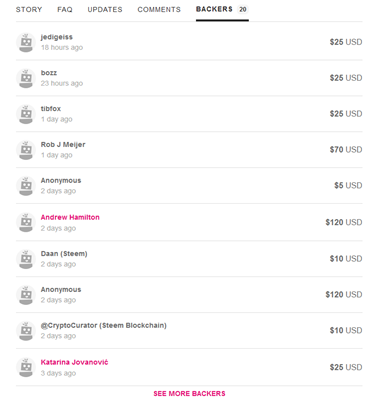 One of the reasons why not more people have donated, might be because IndieGogo requires you to have a credit card. There is an easy way around this, which I've personally used to donate. You can create a free account on Neteller and deposit funds using Bitcoin, Paypal, bank transfer, etc. Then you can create a virtual debit card, which can be used on IndieGogo. This virtual debit card will use the funds from your Neteller account to pay your pledge, when the crowdfunding campaign finishes. The whole process of setting it up is fairly easy. Pledge to the Utopian Colony IndieGogo Campaign! I reserve the right to reject adding you to my autovote list, if you engage in spam posting. So make sure that you post decent content before you enter your claim! Awesome bud. Thx a ton! Thank you so much for donating! I've added you to my SteemAuto at 50%. I agree, that is really too bad that not more people are jumping onto this. Like you said in your last post, we all probably use open source software every day. 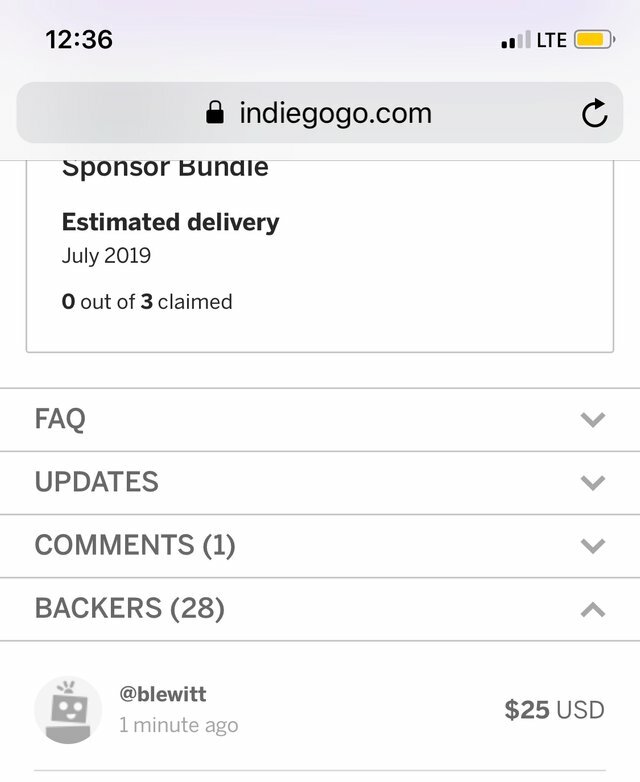 I don't think I will probably ever be contributing actual code to the project, but I like the idea and believe in what they are doing, so I donated. Let's go people! I'd really like to see them reach at least $1000 in the next 24 hours or so. Can't believe they haven't gotten that already. You're completely right, I do think everyone has benefited from open-source software. Especially since it is Utopian related. You would think those people who are regularly posting to Utopian and getting the big rewards they give out could spare a little to help this initiative out. Hopefully they will reach the endgoal 35K is a lot! I love utopian. It's the best project on Steem in my mind. However I would hate to see the pay for vote philosophy emerging from this great community. Upvotes should be used solely to reward good content (including software), not to reward individual donations. On a fundamental level, I definitely agree with you. 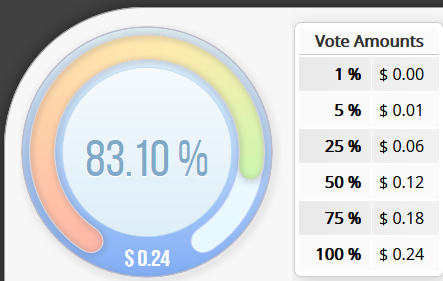 My goal is to create an additional incentive to get people to donate and Autovoting has become a fairly accepted part of the Steem ecosystem at this point. IMO, you can't really blame people for that, since content discovery is simply not too great at the moment in this current system. You did get me thinking and I've added a disclaimer to my post, stating that I have the right to reject accounts if they engage in any sort of spam posting. Of course a practice that's generally accepted on the blockchain doesn't mean it's a good practice. No problem, I don't mind criticism and your comment was completely fair. I do wish there was a system in place for good content to get discovered organically. I'd be the first one to completely drop the automatic voting if that were the case. In our last Algorithmic Curation Round, consisting of 374 contributions, your post is ranked at #74.